Stream up to 4K Ultra HD &amp; HDR picture quality over your WiFi network with Chromecast Ultra, a streaming device that plugs into your TV?s HDMI port. Chromecast Ultra provides fast, reliable performance with minimal buffering and smoother streaming. Use your iPhone?, iPad?, Android device, or laptop to stream thousands of Cast-enabled apps. i planned on cutting the cord a while back, and chromecast ultra made it easy to do so! i can now stream the usual (HULU, Netlfix, and Amazon), as well as the CW, through my phone or tablet right on to the big tv screen (with a soundbar and subwoofer)! 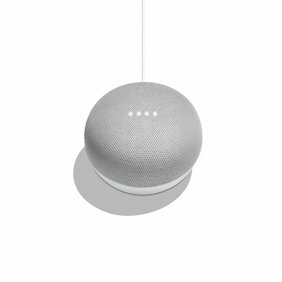 installation and set up is really easy, just follow the prompts after downloading google home. then 5 minutes later, i am streaming my shows and relaxing, without the $60+ per month of TV subcriptions. This upgrade to chromecast just came out as I was finally getting ready to buy one of these devices. I set it up right away and was streaming a movie from my phone to my TV within moments. This will make it so much easier to watch videos that are more accessible on my phone, especially You Tube, etc. that I may be able to cut my cable bill way down very soon. Had an original Chromecast upgraded..
Had an original Chromecast. Got a new 55" TV and decided to put the ultra on it. Starts up faster. Stays connected to my wifi all the time when my other Chromecast cuts off sometimes. My only gripe is setting it up initially never works right. Takes a bit to get connected, but once it does it's smooth sailing. I've used the regular Chromecast for a couple of years but since getting a new 4k TV I upgraded this too. Easy to install, easy to setup. Anything on your computer can be on the big screen TV. If you have a 4k TV, this is a must and allows you to take advantage of the 4k content on YouTube. I have this installed on the TV in my bedroom and i couldn't be happier with how it works. So simple to install and run. Then I just cast whatever content I would normally watch on my small phone to my TV in crisp 4K quality (my TV is also hooked up to a killer sound system) and then I still get to use my phone while watching stuff. Makes me happy just to think about how much value I received when I got this delivered to my front door. So far so good. I've only been using this a few days but I got Netflix and I've been enjoying it this far. This is simple to install and get up and running. 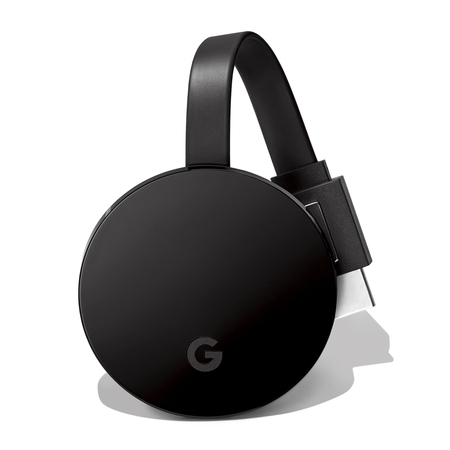 I Have used other devices to project computer content but I think the new Chromecast Ultra is the best device to accomplish that task. Easy to setup, easy to use and works great! Buy one....you won't be disappointed. It's working great compared to the other version my daughter has. Worth the money! I purchased two of these for two televisions, a Samsung 55 4K and LG 55 4K. They both experienced the blue people on the first day of use. This has been a ongoing problem with this device since January 2017 and there is still no fix from Google as of yet. At the moment the only way to fix the blue tint is to reboot the device every time it happens. Rather than that device works fine.